THE GEOGRAPHY OF FRIENDSHIP has been shortlisted for the 2019 Australian Book Industry Awards - Small Publishers’ Adult Book of the Year category. The winners will be announced on Thursday 2 May at the Sydney International Convention Centre. THE GEOGRAPHY OF FRIENDSHIP has been longlisted for the 2019 Australian Book Industry Awards in the Small Publishers’ Adult Book of the Year category. The longlist across the 12 categories can be seen here. The shortlist will be released on 11 April, with the winners announced on 2 May at Sydney’s International Convention Centre. Tickets for this red carpet event can be purchased here. This Queensland Writers Centre workshop will help participants make their manuscript submission-ready for publishers, competitions and awards. The workshop would also help those writers who have reached that point in their story where it, and they, have run out of narrative energy and are stuck for ideas about how to bring back the story’s narrative drive. Bookings essential. For more information or to book your place visit this link. The Geography of Friendship is now available as an audio book, which can be purchased through Audible. A sample of the narration can be heard here. Bookclubs and authors unite at Avid Reader's Sunday Best Bookclub. This is a bookclub for people who are already in a bookclub, people who have always wanted to join a bookclub, or for people who would like to meet and talk with some of Australia's finest writers. This month meet author Sally Piper and speak with her about her latest novel The Geography of Friendship. Bookings for the event can be made on the Avid Reader Events page of their website. 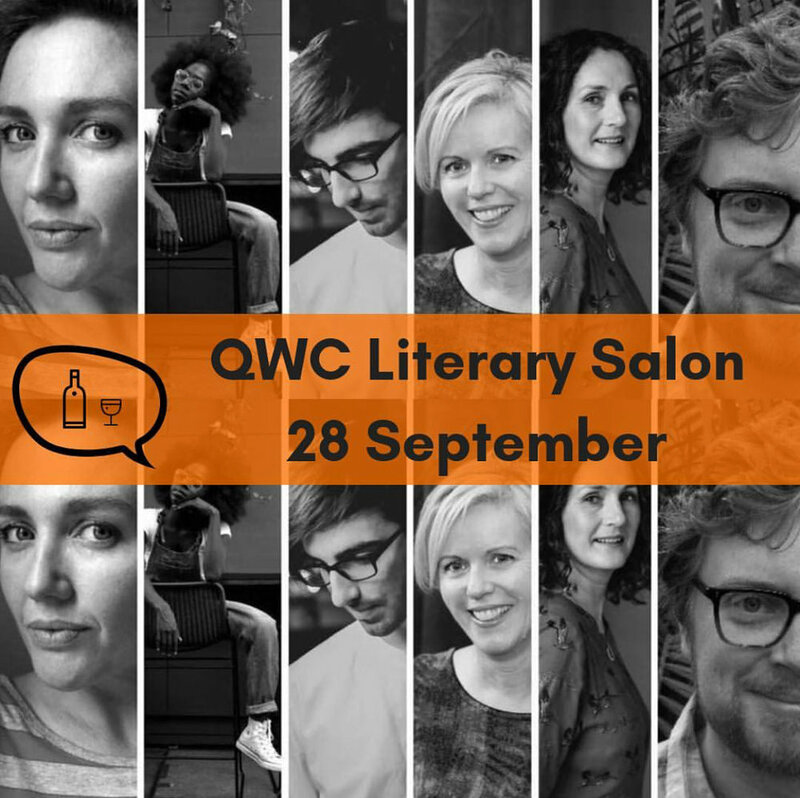 Join Anwen Crawford, Sally Piper, Christopher Currie, Anisa Nandaula, Kali Napier and Jonathan O’Brien for an evening of fine writing, warm anecdotes and cheap wine. You can book your ticket for this Queensland Writers Centre event here. Venue: Red Box, Level 2, State Library of Queensland. Writing can be a solitary pursuit, but there is much to be said for having a strong network around you. This Queensland Writers Centre seminar covers building relationships with your peers and connecting with various writing groups, communities and organisations. This is a free seminar but to register your attendance, please contact Chermside Library on 03 3403 7200. Sally will be on a panel at the Brisbane Writers Festival with authors Bridie Jabour (The Way Things Should Be) and Helen Jukes (The Honeybee Heart Has Five Openings, UK), chaired by Alex Adsett. Bookings for the panel can be made here. Sally will be in conversation with Toni Jordan (Addition, Our Tiny, Useless Hearts) about The Geography of Friendship at Readings Hawthorn. It is a free event but you need to reserve your place on the Readings Hawthorn events page or phone the store on 03 9347 6633. Sally will be in-conversation with Cass Moriarty (The Promise Seed, Parting Words) about The Geography of Friendship at Books@Stones. This is a free event but bookings are essential. Please RSVP to the store on 07 3394 4949.